Immediately before cooking artichokes from the outer peel leaves, we cut prickly ends, and measures cut into quarters, removing the internal fiber. Artichokes put a small amount of cold water, if we want this to their taste and aroma passed into broth (eg. Cooking soup). 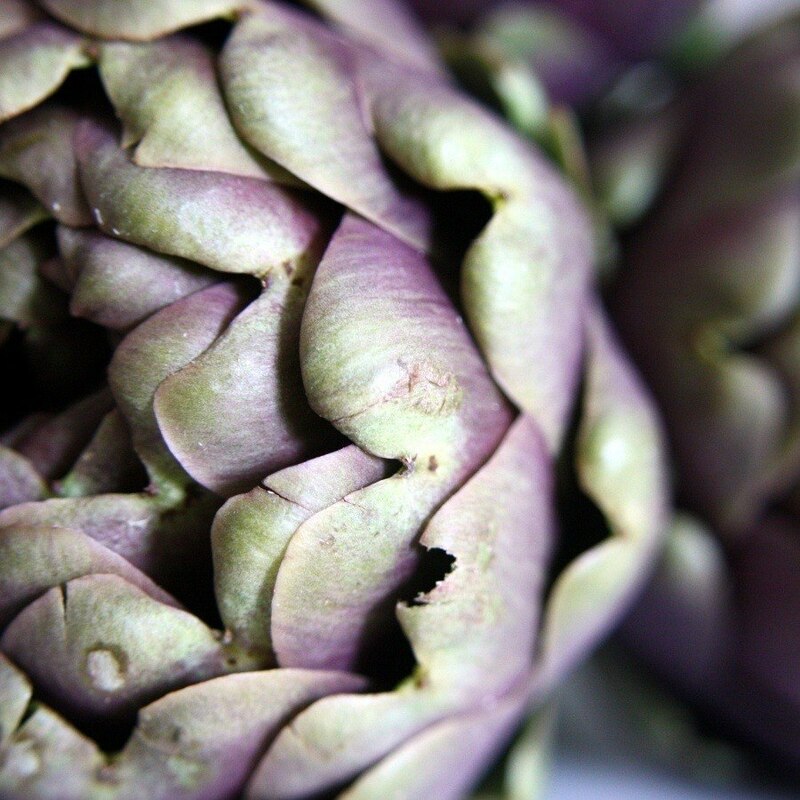 If we cook artichokes as a separate dish, throw them into boiling water - thanks to retain most of their juices. Cleaned artichokes can envelop thread. Artichokes cook for 4-5 minutes. Time start to count from the time of re-boil water. Immediately after setting with salt (approx. 2 teaspoons to 1 liter of water). It is also slightly sweetened (approx. 1 teaspoon per 1 liter of water). You can also add lemon juice, white wine or vinegar. Boil under cover - this shortens the processing time and reduces the loss of vitamins. Artichokes are cooked when the center of the bud is tender, and the outer leaves can be easily distracted. After cooking the artichokes take off the thread breaks off and fleshy leaves, setting aside part of the fibrous plate. Artichokes served hot, you can pour the butter or hollandaise sauce béchamel. For artichokes served cold, you can specify the mayonnaise, oil, lemon juice or tartar sauce.